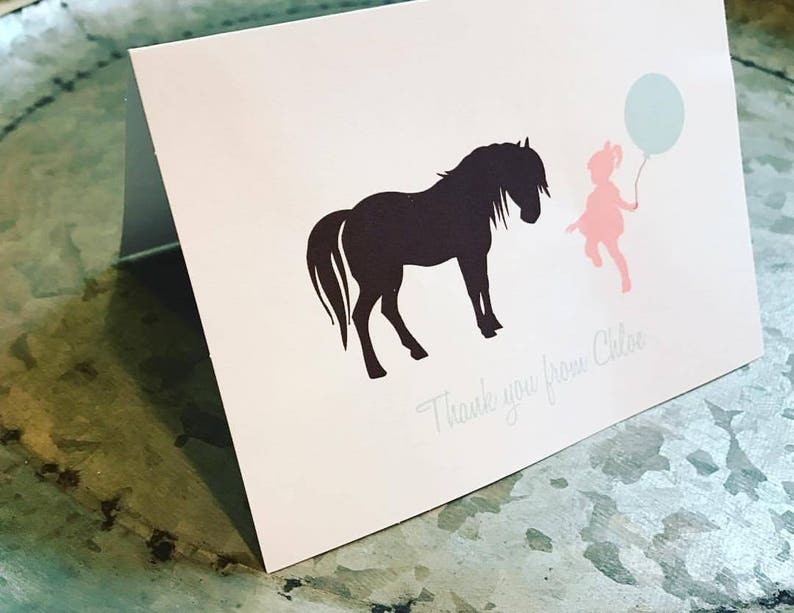 12 very cute cards featuring a Pony and Little Girl. Need more or less let me know. I will gladly set up a custom listing for you. Cards and envelopes are white. Text is optional and words and color may be customized. The card measures 4" x 5.5"
Inside of card left blank for your own personal sentiments. Cards will be wrapped nicely in a clear plastic envelope and sealed with my logo. I enjoy customizing, message me if you have any questions or order instructions. Thank you.